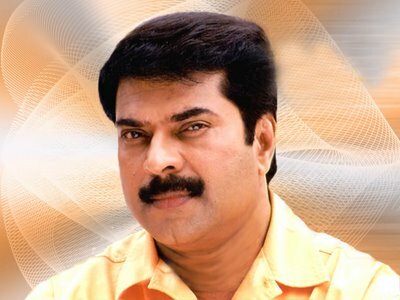 Thiruvananthapuram, Oct 19 - Malayalam superstar Mammootty compares himself to a "hard working farmer" who just cares about his work and hopes for the best. "I am like a farmer. A farmer always works hard in his field and his only prayer is that his crop should be a bumper one. Similarly, I always put in my very best and then wait hopefully like the farmer," Mammootty told IANS in an interview on the sets of his latest movie "August 15". The film is being shot at the plush Technopark campus here. "The success of a film is always a combination of many people's efforts. I believe in the theory that one cannot make a good film, it just happens," Mammootty said. "I honestly don't feel any greatness at all. It is just simple and that is because I do work really hard," he said. Mammootty also said he was very careful about choosing his films. "A good deal of my effort goes into the selection of films because these things cannot be just predicted; so I am careful about the movies I finally do. Next year too I will have four or five films where I play different roles," he said. Asked about a hospital project in Bangalore he is reportedly part of, Mammootty said: "I am not into the project. My son and daughter are into a boutique hospital, Motherhood, in Bangalore, which will soon open. I have no role in that." He said his business interests include a distribution company called Playhouse, and he is hopeful of venturing into film production next year. "Hopefully it (production) should happen next year. It would not just be limited to my films," he said. Does he have plans to direct as well? "Right now, I know one job, with which I am fine," he said, smiling. The superstar, who turned 57 last month, was dismissive of reported problems in the Malayalam film industry. "Tell me one industry where there are no problems. Whatever problems are there are similar to the problems faced elsewhere," he said. Speaking about his role in "August 15", he said it was based on the film "August 1", which released 22 years ago. "I play Perumal, a police officer, and the film is an investigative thriller. Repeating a character makes it easy because in the new film, this character need not be introduced again. This film has a totally different script," he said. So what does the veteran of three decades feel about working with heroines much younger to him?